Ms. Brewer is often asked the question, “How much of you is hiding behind the characters in your books?” For professional groups and book clubs seeking to know what is behind the words, this program is very entertaining. She will talk about her concept for her books, the sources of her research and the ins and outs of publishing. The program is a personal look into the life of an author and the heart and effort that goes into the finished product. Straight from the pages of the Carolina Rain Series. There were lost loves, lost fortunes and many of those I love are forever silent. It is for their sake that I must find the courage to tell my story. Listen as Ms. Brewer presents a 30-45 minute drama in character from her books. Programs are educational and entertaining. 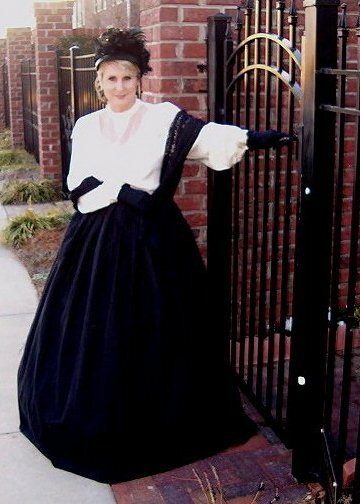 You will feel as if you have stepped back in time (1860-1867) as a real Southern Belle tells her story of her experiences from the grand old days of plantation life in Charleston, SC to the red dirt fields of Stanly County, NC. 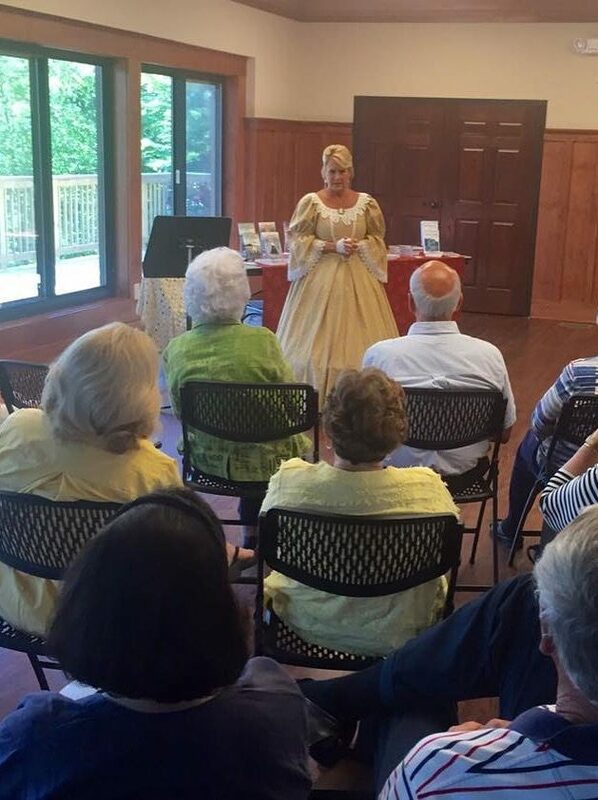 As a portrayal of a Civil War Nurse, she gives an eyewitness account of the many roles women played during The War Between the States. 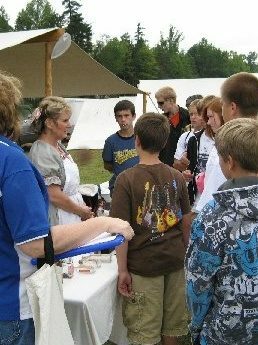 She will present to you an emotional and informative program detailing what she saw both working in the make-shift hospitals and on the battlefields. Through a combination of artifacts and historical story telling you, too, will feel as if you were there. Listen and learn as she tells about the battles she saw, famous people she met and how she and other women survived. Ms. 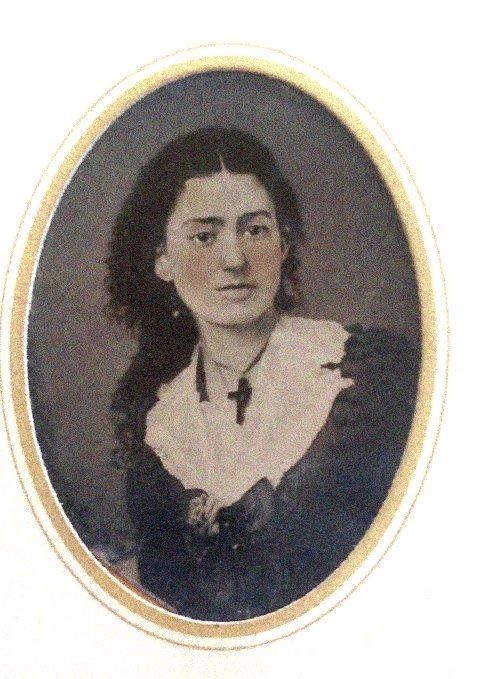 Brewer offers a program as a “Woman Spy” during the Civil War From the pages of her novel The Two Faces of Nina Grey. 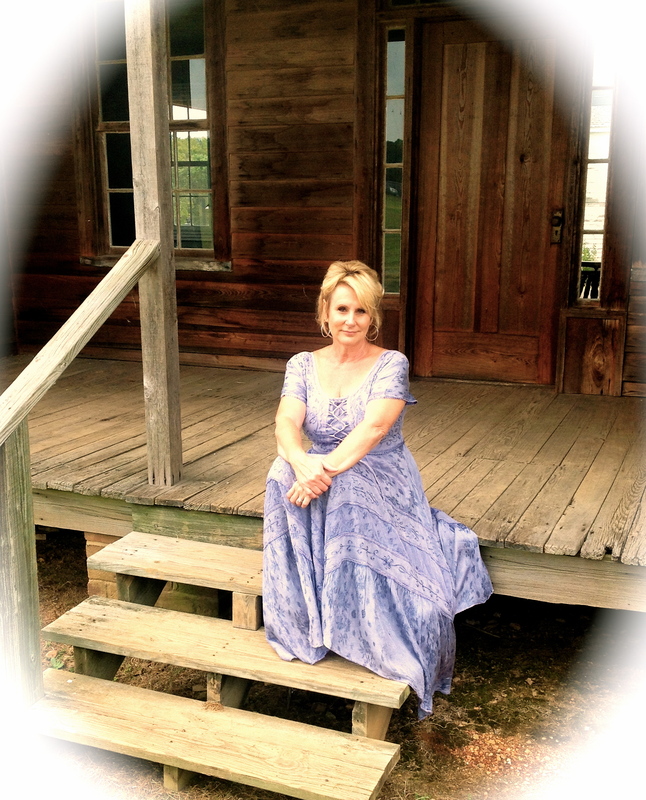 This program is a peek behind the covers of Nancy B. Brewer’s award winning historical fiction novels. 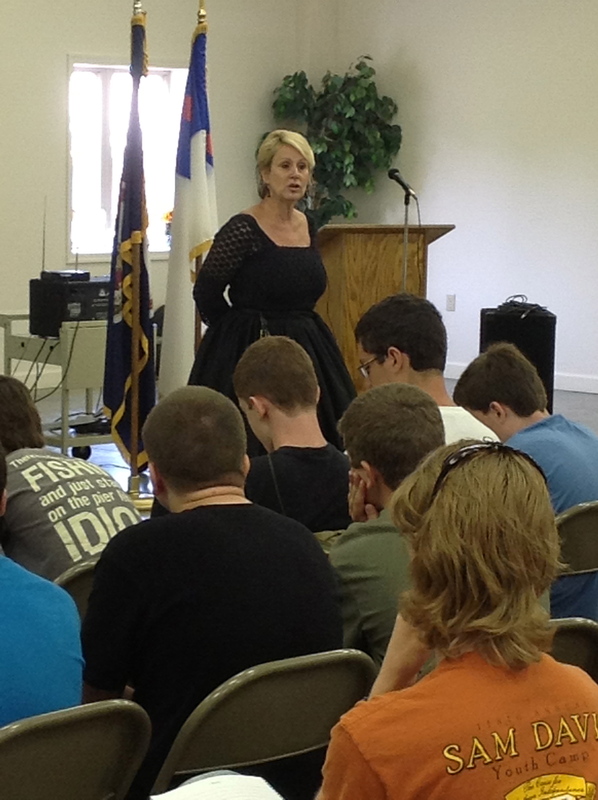 During Ms. Brewer’s presentation she will entertain you by slipping in and out of character. 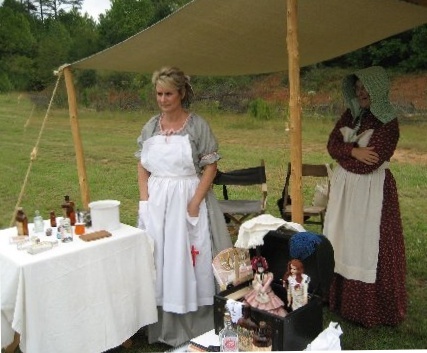 She will bring with her a display of unusual artifacts from medical to clothing of the era. Ms. Brewer says the study of history is a lot like going on a treasure hunt. You never know what you will discover or what prospective you will uncover. She will share with you some of the many places she finds inspiration, resources, facts and the little details that make reading her books like a step back in time. This a beautiful program for Churches and Christian Organization she will close with the inspiration of her book, 30 Days at the Shore, (Letters to Father).